The team at Adelaide Food Central has been fiercely indulging of late in Italian dining. 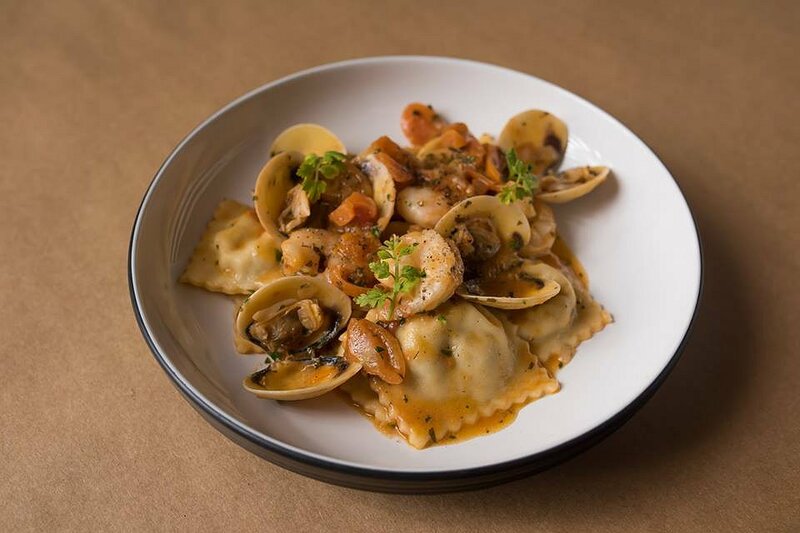 For this week’s carb loading we headed up North East Road to the Sfera’s Park Suites and Convention Centre to dine at their restaurant, 1877 Pasta & Wine Bar. We worked our way through a myriad of Italian taste sensations and had to let out our belts yet another notch! The menu boasts a tantalising selection of Antipasti starters. We loved the simple but fresh flavours of the Caprese Salad and the unusual twist on Arancini by serving them with a pumpkin puree but our hearts were won by the two takes on chips. 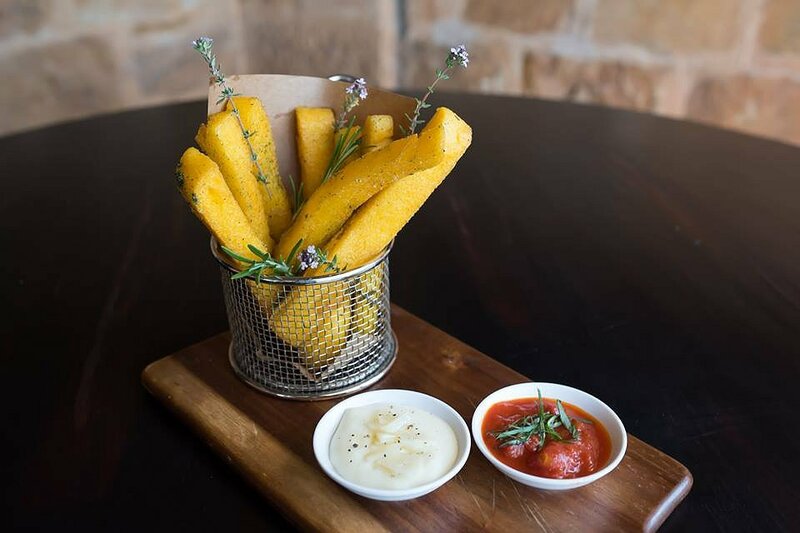 First up the Polenta Fritta; incredibly long strands of polenta that have an airy, light texture. They have an impossibly crunchy crust. You can dip them in the accompanying cheesy grana padano sauce or napoletana sauce. They are dusted with a sprinkling of herbs and seasoned to perfection. The Patate Dolci are also impeccably seasoned. 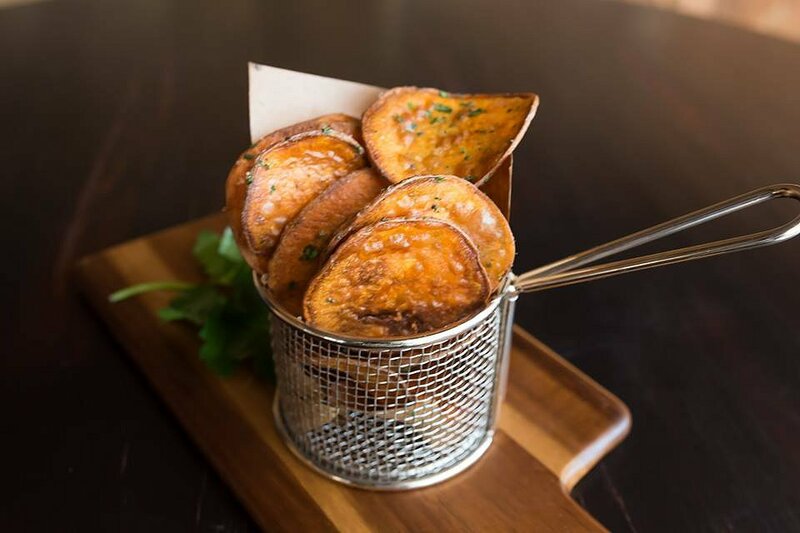 The rounds of sweet potato are crunch and delicious and they pair ever so well with the truffle mayonnaise. A heavy hand has been used when adding the truffle and it is delightful. I’m sure the truffle perfume could be smelled from tables away. 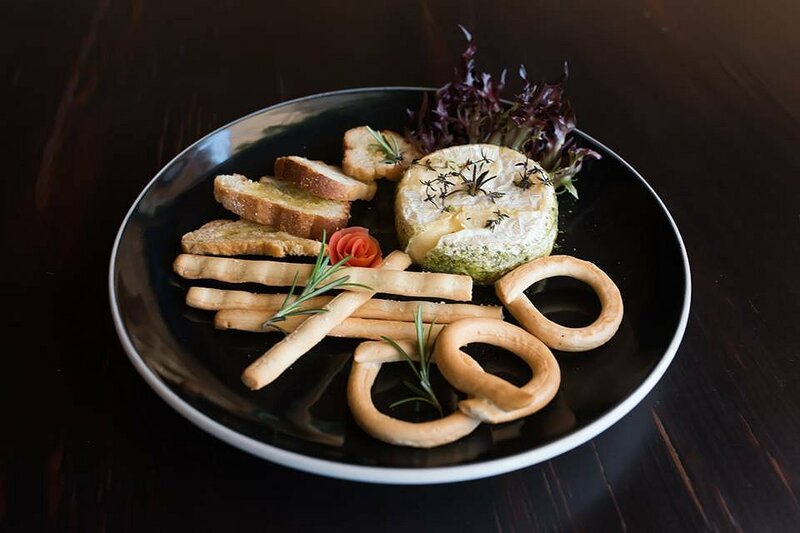 Another starter guaranteed to be a crowd pleaser is the Brie Alle Erbe, a round of brie studded with thyme and rosemary and oven baked and served oozy and warm. The selection of house made crostini is light, crispy but doesn’t overpower the cheese. As a pasta bar one would expect the kitchen to be turning out great pasta. I loved the Cavatelli Al Pesto so much I insisted on taking the portion we didn’t finish home with me! Rather than a classic basil pesto this light pesto is tomato based and the sauce has a cream finish. 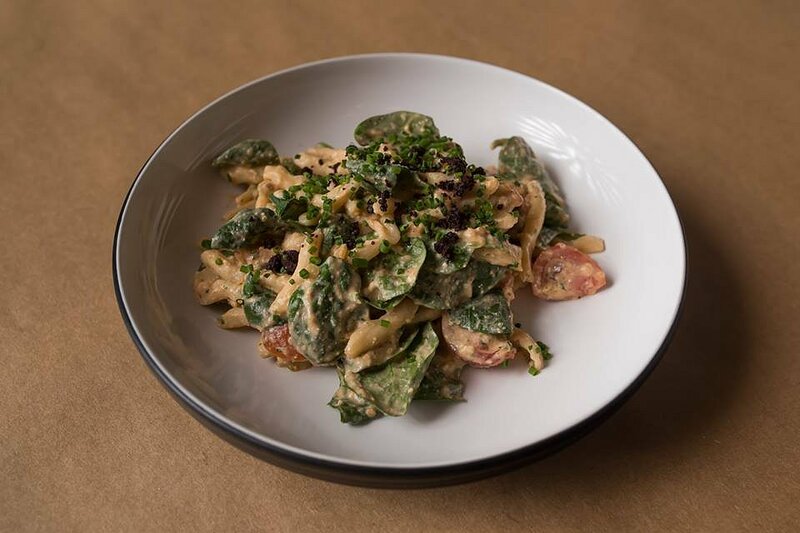 Halved cherry tomatoes and a handful of baby spinach weave between the little pasta strands resulting in a fresh and light pasta dish. That would have been delicious on its own but a sprinkling of crumbled black olive adds a tantalising saltiness and is exactly what the dish needed. We moved onto the Ravioli Di Mare, fragrant and sweet seafood pillows topped with prawns and cockles. The pasta delicious and is, cleverly dressed in nothing more than some lightly cooked cherry tomatoes and chopped fresh herbs. This show of restraint allows the flavours of the ravioli filling to shine without competing with a dense sauce. To round off the mains we enjoyed the Pollo Boscaiola. 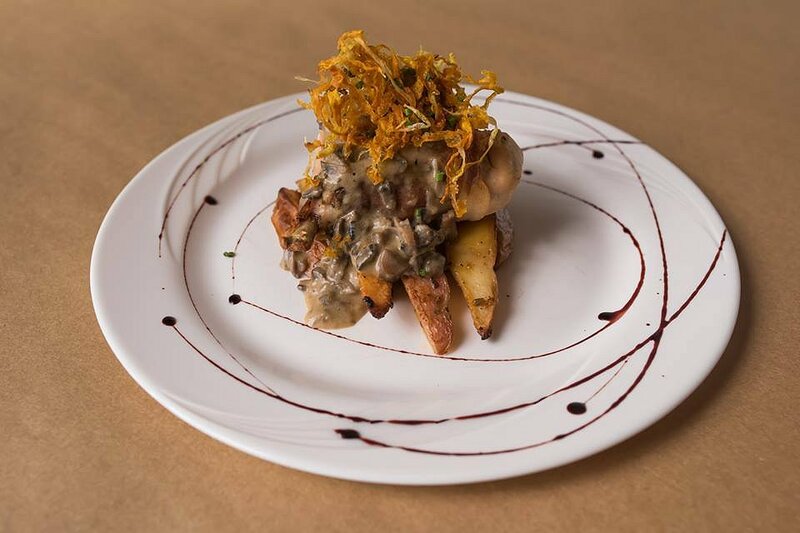 A delicious medley of roasted chicken filled with oozy melted cheese, wrapped in bacon and topped with a creamy truffled mushroom sauce. Sold yet?? Ok, think about it on a mound of wedges of garlic potato and then topped with curls of fried sweet potato. It was rich, generous and oh so satisfying. Again fans of truffle will be pleased as it was liberally added again in the sauce. 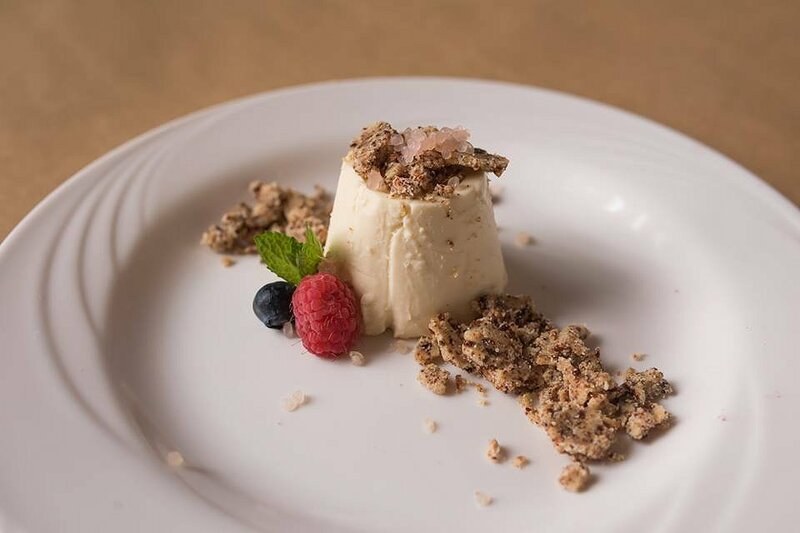 To satisfy our sweet tooth we started with the Panna Cotta, a celebration of Australian ingredients – the panna cotta flavoured with lemon myrtle, decorated with a plum crumble and beads of finger lime. Channelling the judges from My Kitchen Rules we conducted a “wobble test” and nearly launched the single blueberry garnish across the room. Yes – it wobbled. The panna cotta had a delicate flavour and luscious texture. The fruity crumb paired well in both texture and taste. After a long and varied meal I can safely say that 1877 Pasta & Wine Bar ticks all the boxes; a great menu with plenty of varied and attractive options and comprehensive wine list with plenty of affordable bottles, boosted by a pleasing cocktail list. 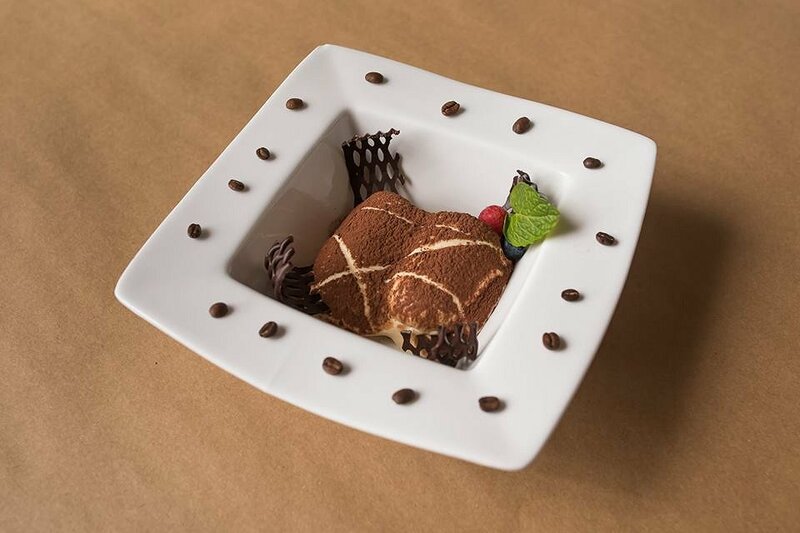 Paired with a chic dining room that transports you to an Italian village and exceptional service, 1877 is a great place for your next date night, catch up with friends or family dinner.